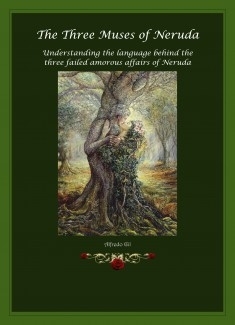 The Three Muses of Neruda is an analysis of the language behind Pablo Neruda´s most famous work The Twenty Poems of Love and a Despaired Song. With explanatory notes, the book looks at previous English translations and includes the entire work revised through the principle of Direct Translation which hopefully expresses the meaning of Neruda´s brilliant poetry and conveys more truthfully, the atmosphere of Neruda´s poetry. The book also includes a Glossary of Spanish-English words that are written in the same form and have the same meaning. A critic of W. S. Merwin´s translation of the same book once wrote that Merwin´s translation sacrificed many images and did not convey the feeling of desperate longing of this early work. I hope that though this book and by having translated anon the TWENTY POEMS OF LOVE, I have done justice to the great poet which Neruda truly was, and that I have properly conveyed the feeling of desperate longing which Neruda felt when he wrote his most famous love story.